The Commission was created in 2016 to study and report to Congress and the President on whether registration with the Selective Service System for military conscription (“the draft”) should be ended, extended to young women as well as young men, extended to older women and men with skills in special demand by the military (in health care, computer science, STEM, foreign languages, etc. ), or replaced with something else such as compulsory “national service” with both civilian and military options. I’ve been following the Commission as closely as its penchant for secrecy has allowed. I attended four of the Commission’s public events last year (in Boston, Nashua, Denver, and Los Angeles), possibly more than anyone else except the Commision and its staff and contractors; submitted detailed written testimony and personally deliveried copies of a petition initiated by Julie Mastrine and signed by more than 25,000 people asking that draft registration be ended rather than extended to women; testified in person at the Commission event in Denver; and obtained and published the most comprehensive collection of records of the Commision’s activities, released in response to my Freedom Of Information Act (FOIA) requests. The Commission’s goal in its interim report released today is not really to “report” on what it has done, but to set the terms of debate(excluding options like, “Admit that draft registration has failed“), and test the political reaction to some of the proposals the Commission is considering. Edward Hasbrouck… was jailed for four months in the 1980s for refusing to register for the draft. The prosecutor in that case: Robert Mueller, who became FBI director and is the special counsel investigating Donald Trump’s presidential campaign…. The Commission asked for input from the public, but has chosen to withhold, in their entirety, all of the comments submitted by members of the public, even after I requested them under the Freedom Of Information Act. That means the Commission could, and did, “cherry-pick” which comments to cite in its report, and ignore those raising issues or arguments that the Commission doesn’t want to deal with. Until the comments are made public, we won’t know how the public responded to the Commission’s questions. But I suspect that the 25,000 signers of a petition asking Congress to end draft registration rather than extend it to women, which I presented to the Chair of the Commission at its public event in Los Angeles, constitute the majority of the public submissions to the Commission. Two points of view, in particular, have been elided from the Commission’s selection and summary of public comments: antiwar feminism, and draft resistance as direct action. The Interim Report notes that the Commission heard from those “who believe that physical differences between men and women would make it impractical or even dangerous to conscript women to serve in combat roles” (i.e. anti-feminist opponents of drafting women, some of whom support drafting men), but doesn’t mention the longstanding strand of feminist opposition to war and conscription. And while the Interim Report notes that, “We have heard from both conscientious objectors who oppose war and feel the act of registration condones violence, and from draft resisters who refuse to register, believing conscription is a violation of their rights,” it treats these solely as political or moral objections. There is no acknowledgement that, as I and others have told the Commission, noncompliance poses a practicalbarrier to conscription. 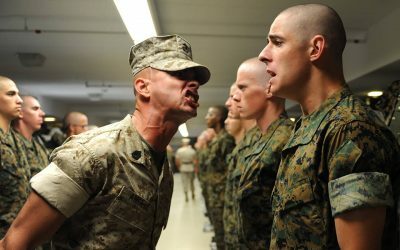 In falsely restating draft resisters’ position as, “They have argued that current law does not offer any acceptable options for Americans who choose not to register,” the Commission appears to be trying to delude itself into believing that if a civilian service “option” was available, we would no longer object to, or resist, a compulsory “national service” scheme. But in this, they are wrong. The Commission has kept its research plan and all of the results of the research it has conducted and commissioned secret. That means the Commission can cherry-pick which data supports its recommendations, and blackhole contrary data or research reports. As a result, it is impossible to assess whether the Commission’s research supports its conclusions and recommendations. Little if any weight should be given to conclusions or recommendations based on secret or selectively-released data. The Commission’s Web site says that, “The Commission is committed to… learn from those who serve and do not serve,” and, “The Commission seeks to learn more about why people serve and why people may choose not to serve.” But all of the panelists invited to speak at the Commission’s public events to date spoke about why they chose to serve. The Commission has yet to invite any testimony from those who choose not to “serve”, as the Commission defines “service”. 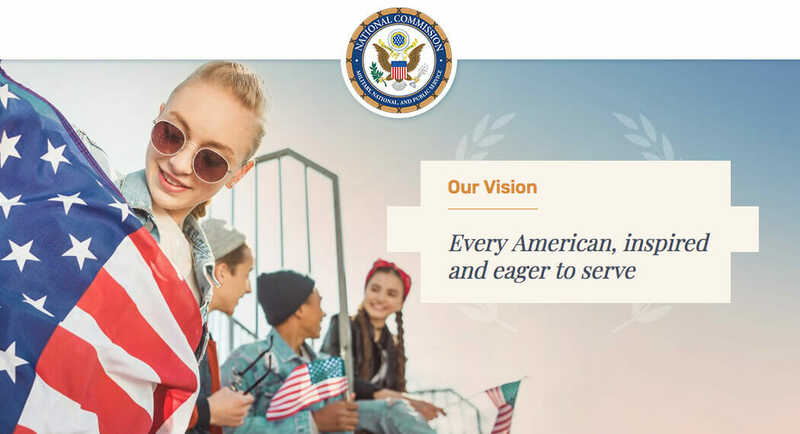 The Interim Report says that, “We are considering several possible ways in which universal service, whether mandatory or not, could be implemented for America’s young people…. 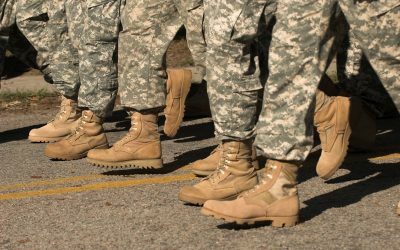 [W]e are exploring what a program that requires every American to complete a dedicated period of military, national, or public service might look like.” But a mandate applicable only to young people would not be “universal”. 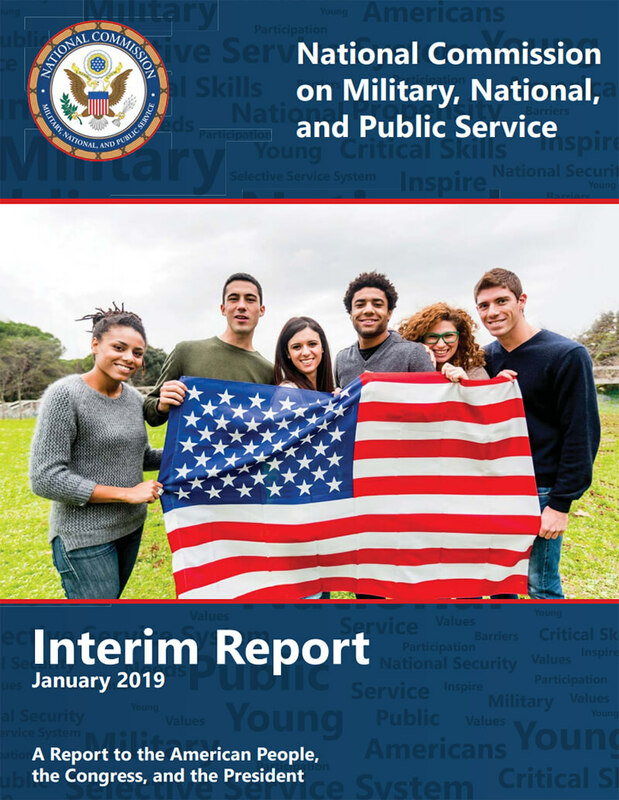 The Interim Report betrays the typically profound and unexamined ageism that underlies the assumption that young people, and only young people, can be compelled to “serve” military or other interests defined by older people. The Commission never mentions the historic and continuing role of youth liberation as one of the sources of objection and resistance to age-based conscription. Despite having been directed by Congress to assess whether compulsory programs including continued or expanded Selective Service registration and possible compulsory national service are “feasible”, the Commission does not appear to have made any effort to assess whether any compulsory program could be enforced, or if so, how and at what cost. The Commission has taken a “see no evil, hear no evil” approach to issues of compliance, enforcement, and feasibility, as though the government could impose conscription by waving a magic wand. As I had predicted, there is no mention of enforcement in the Commission’s interim report, in any of the reports to the Commission (including the report from the Department of Justice, which is responsible for investigation and prosecution of draft resisters), or in any of the agendas of Commission meetings released to date. The Commission prefers to talk about service rather than coercion. But conscription or compulsory service is a naive fantasy unless it includes a credible enforcement plan and budget endorsed by the Department of Justice. Why is the government soliciting comments on what we think about the draft now? After elaborate bi-partisan machinations, Congress chose Door Number One (“Do Nothing”). Perhaps members of Congress thought that would allow them to point the finger of “blame” at the courts, and away from themselves, if draft registration was ended. More likely they just wanted to punt this political hot potato past the 2016 elections into the Clinton or Trump Administration. To provide further political cover for delaying its decision, Congress voted in late 2016 to establish a National Commission on Military, National, and Public Service “to conduct a review of the military selective service process (commonly referred to as ‘the draft’).” The Commission is required to solicit and consider public comments, and to report back to the President and Congress with its recommendations by March 2020 (at which time its recommendations can either be ignored, used, or abused to score points in 2020 election campaigns). 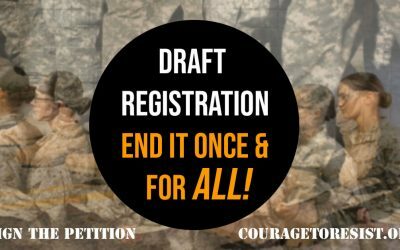 Tell the Feds to End Draft Registration! by Courage to Resist | 34:55 min.